Orientation Week is your opportunity to make friends and learn more about studying at the Geneva Academy and living in Geneva. It takes place the week before the start of the academic year. This mandatory week is designed to assist you in your transition to the Geneva Academy. The information sessions will help familiarize you with the Geneva Academy, your programme and the campus. It is also an opportunity to ask questions about administrative and legal issues related to your arrival in Geneva. For example, health insurance, residence permits, bank accounts or registration at the University of Geneva and Graduate Institute of International and Development Studies. 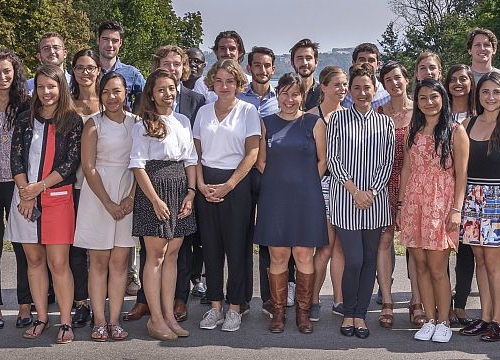 The Geneva Academy brings together a vibrant, intimate and multicultural community of around 100 talented students, leading professors and key experts in the humanitarian, human rights and transitional justice fields. The Geneva Academy Student Council promotes the interests and welfare of Geneva Academy students. This ensures they all enjoy the richest student experience possible during their stay in Geneva. Several years have passed and I am now surrounded by former Geneva Academy students anywhere I go to work. I often come back to Geneva: walking through the streets, meeting my friends and seeing current LLM students full of hope and expectations makes me somewhat emotional, particularly because I know that they will meet those expectations.